This Air Jordan 6 color way has released several times in the past and will continue to re-retro in 2014. 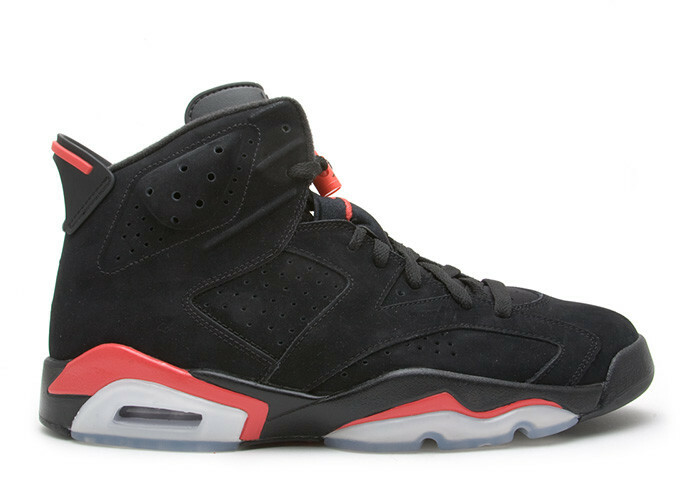 As of 2010, this Black / Black color way was included in a pack along with a White / White color way of the AJ6. Infrared accents on the midsole, Jumpman, and heel tab line finish off this significant color way.